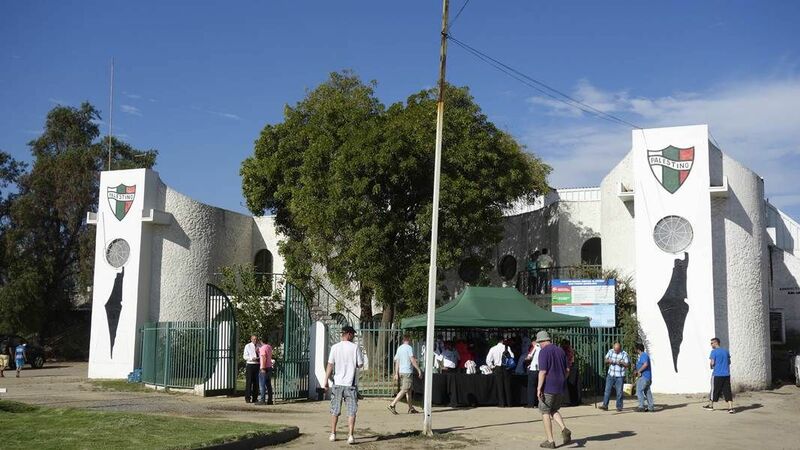 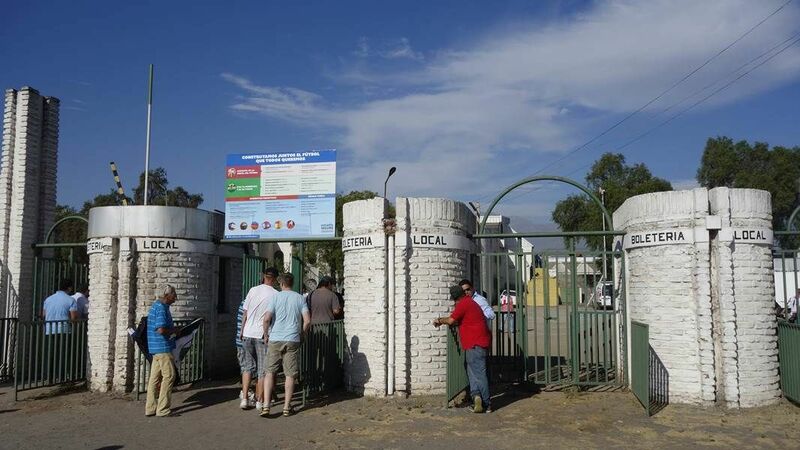 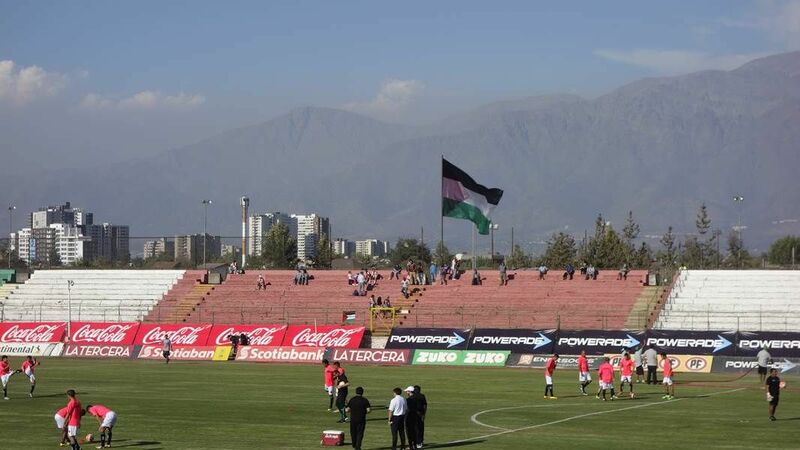 Although a large Palestinian flag waves above the east stand and the map of Palestine is painted on club premises, this stadium is located in southern Santiago de Chile, in the La Cisterna district. 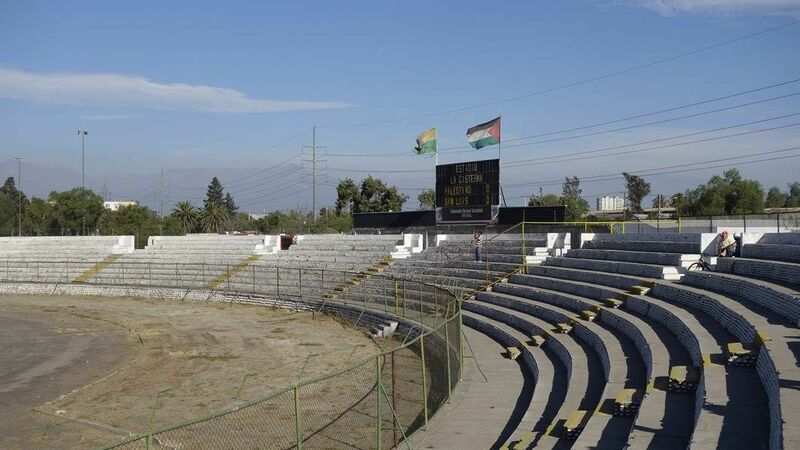 The Palestinian accents are owed to the host club CD Palestino, established in 1920 by the Palestinian minority. 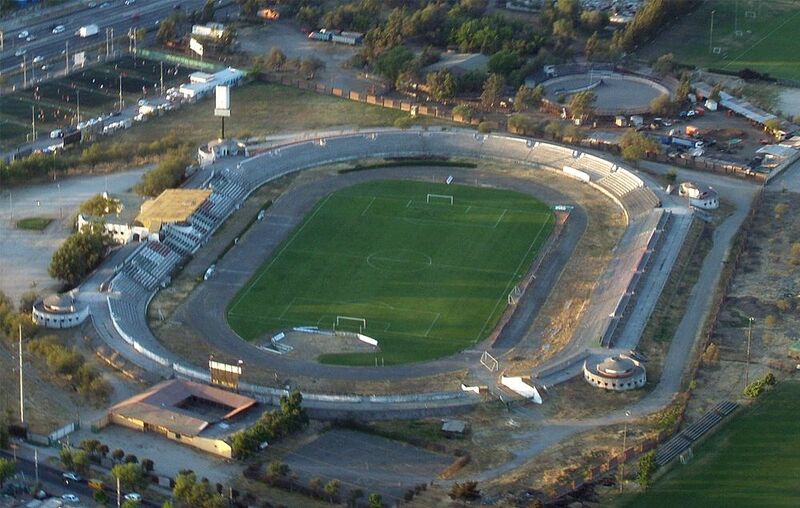 In their heyday, the club managed to win two Chilean championship, though these days predate the current stadium. 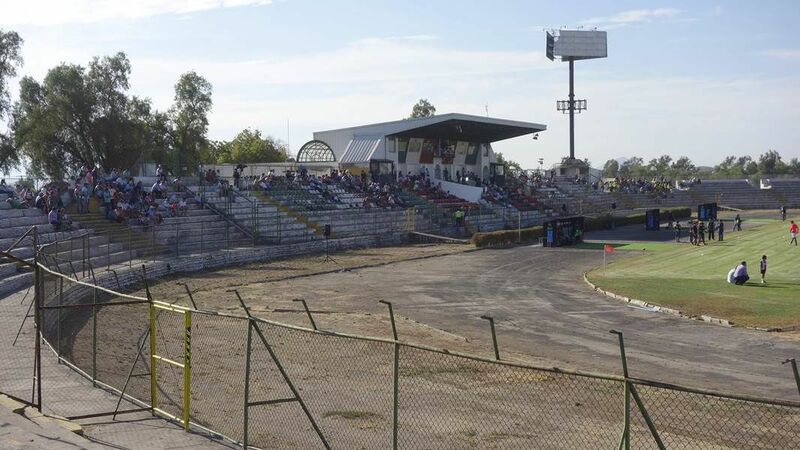 Its construction began in early 1980s and opened in 1988, with Mexican side Puebla FC invited for exhibition game. 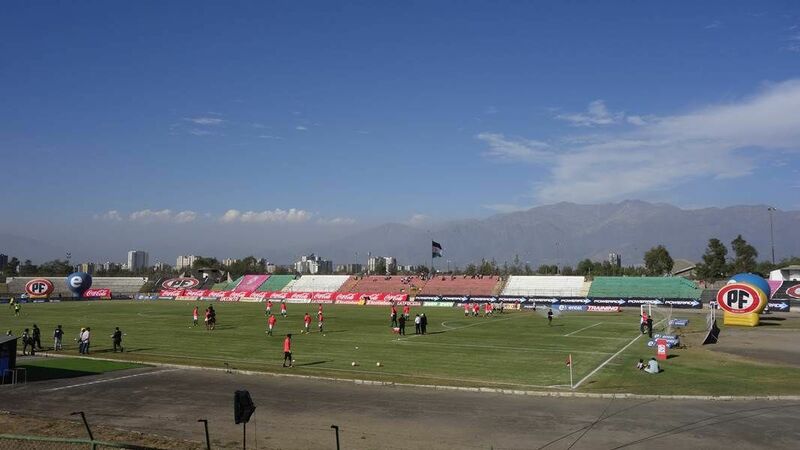 Structurally the stadium may seem very regular, low landfill stands surround a field with running track. 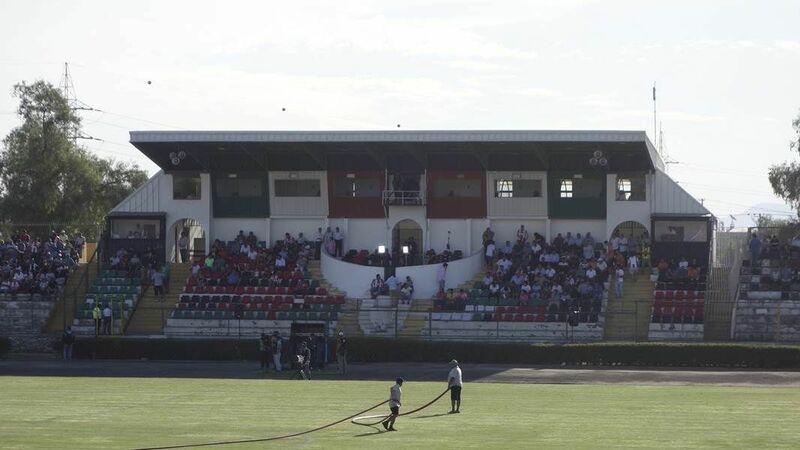 What is rare is the layout of toilet facilities, placed in four rotundas in each corner of the stadium. 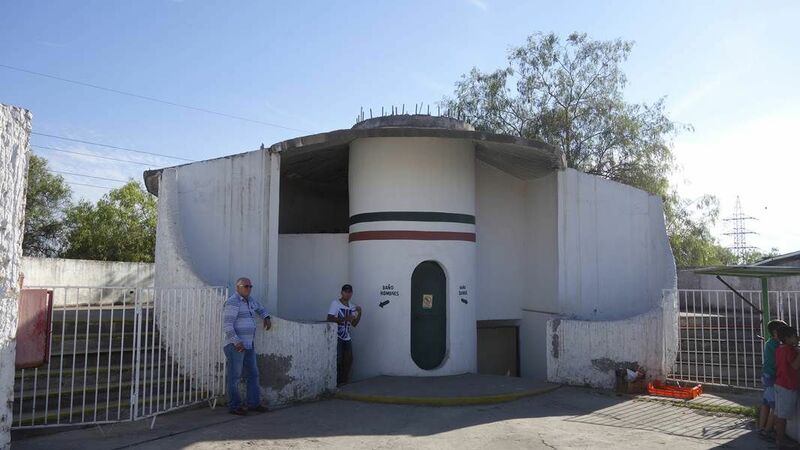 Rotundas are structurally able to host floodlight masts, but this hasn’t happened despite decades having passed. 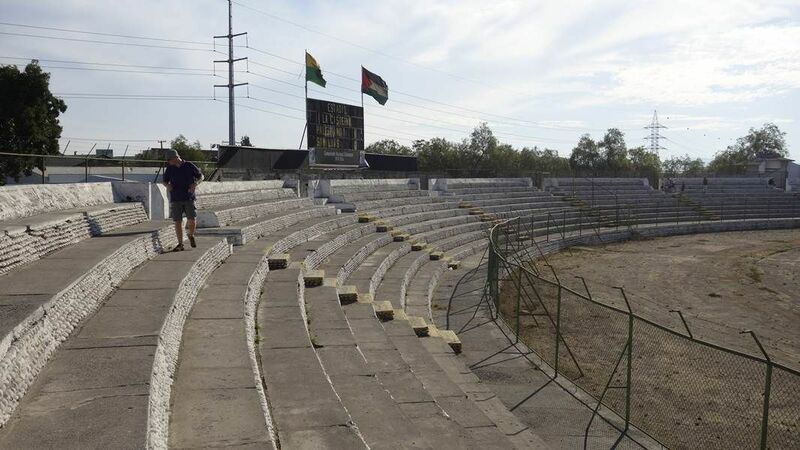 Due to deteriorating infrastructure, the stadium had seen its biggest game in 1990s. 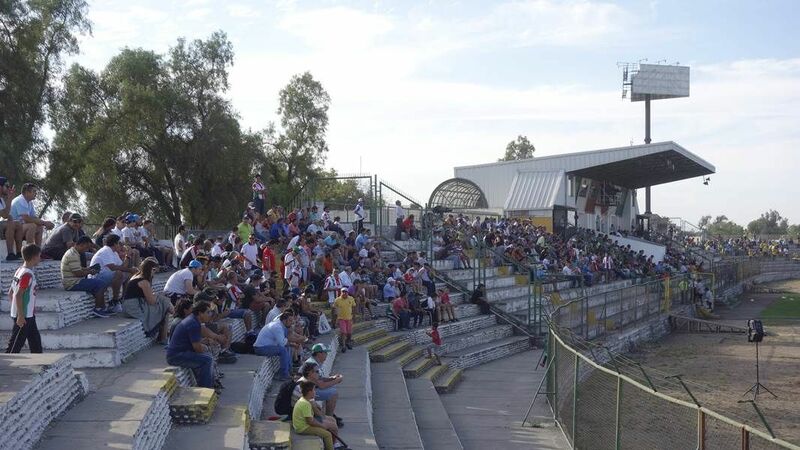 Currently capacity is limited to 5,000 for safety reasons, while crucial games against key rivals are played elsewhere, outside of “Palestine”. 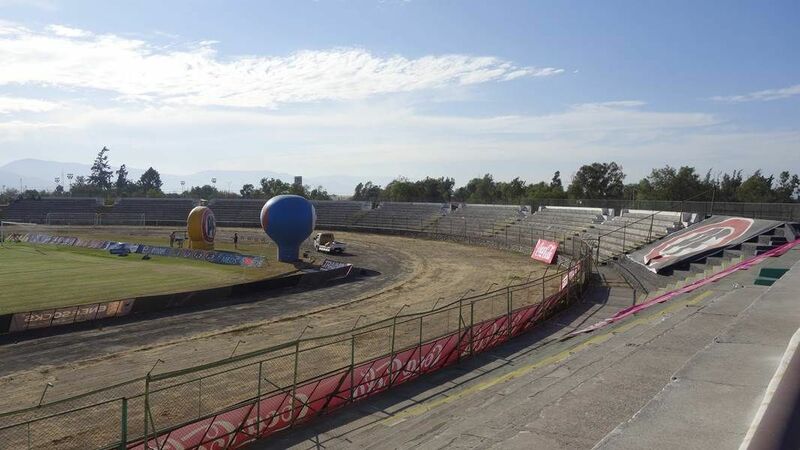 For the same reason construction of a brand new stadium in the same spot was announced in late 2015. 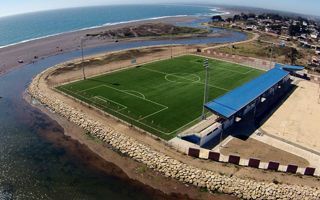 Staying in the site seems sensible since there are 8 training fields at hand, aside of the emotional bond.